View from the high peaks of Shennongjia Nature Reserve. 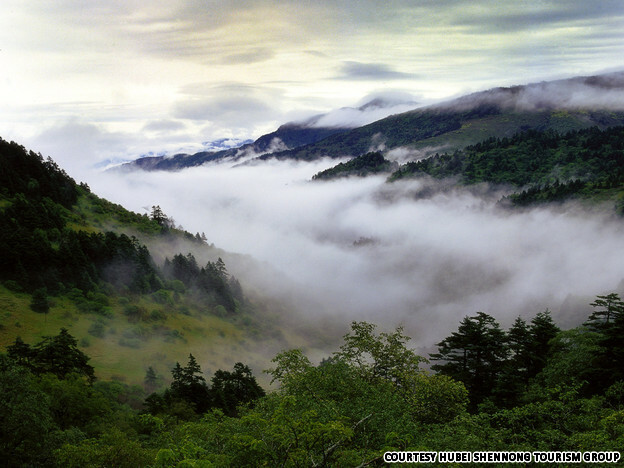 More than 400 people claim to have seen a Bigfoot-like creature called "yeren" in the forest below. This is not the first instance of a Bigfoot-like creature to be used to lure tourists to a destination, Bigfoot is the "go-to" magnet for international tourism. You can read about other Bigfoot tourism destinations, such as, India, skiing in Russia, oh yeah, and even China's Taibai Mountains. As the alleged home of the legendary Bigfoot-like ape-man known as "yeren," Shennongjia (神农架) has been the go-to place for adventurous Chinese travelers for decades. But its mystery and solitude might soon fall victim to the colorful flags of tour guides. The west Hubei attraction is the latest addition to China’s list of 5A-class scenic spots (国家级5A旅游区). Shennongjia was presented the title last week in Beijing by the National Tourism Administration, reported Xinhua News Agency. The 5A-class is China's top classification for scenic spots. Attractions in this category are said to represent the nation’s best tourist spots for receiving excellent ratings in eight categories, ranging from transportation and tourist services to hygiene conditions. As of September 2011, there were 119 5A-class scenic spots throughout China, including Hangzhou's West Lake, Huangshan and Badaling Great Wall. 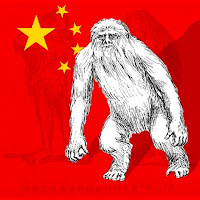 More than 400 people have claimed to have seen the Bigfoot-like creature in the past century, according to Xinhua, yet no hard evidence has been found to prove yeren’s existence. Rather then spying a yeren in the forest, Shennongjia travelers will more likely find themselves being peeped at by snub-nosed or golden monkeys (金丝猴), a rare and protected animal in China. The 3,200-square-kilometer nature reserve is also reported to be “the only well-preserved sub-tropical forest ecosystem in the world's mid-latitudes,” with more than 5,000 species of animals and plants. Wuhan is the nearest major city and traffic hub to Shennongjia. From Wuhan's long-distance bus station at Xinhua Lu, take the daily coach to Xingshan County (兴山县). The bus departs at 8 p.m. and arrives at Xingshan at 6 a.m. the following day. Ticket costs RMB 90 per person. Then transfer to a mini-bus from Xingshan to Shennongjia. Mini-buses leave every 30 minutes and costs RMB 10. Or, take a train from Wuhan to Shiyan (十堰) at 10 p.m. The train arrives at Shiyan around 6 a.m. the following day. Buses for Shennongjia depart at 7:30 p.m. from Shiyan. The bus journey takes about five hours. 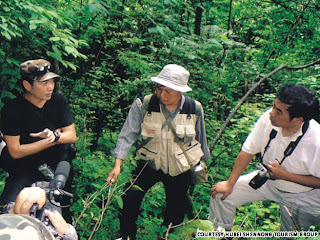 The China Scientific Expedition Association investigated the scene in Shennongjia where a sighting of wild men was reported in 2003. Chinese media reported that the association collected evidence, including hair and footprints. 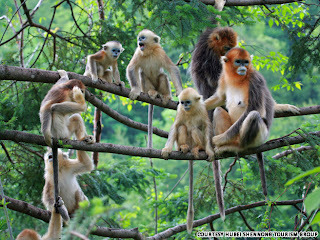 Shennongjia is also famous for its wild snub-nosed or golden monkeys (金丝猴), a rare and protected animal in China.